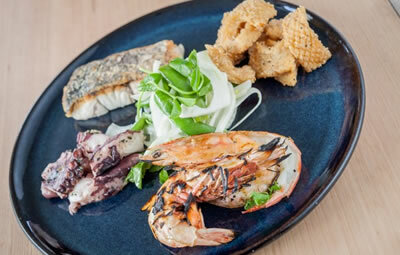 Foys Kirribilli offers the best of casual harbourside dining to the Lower North Shore. Based at Australia’s oldest open boat sailing club, the Sydney Flying Squadron, Foys showcases the iconic beauty of Sydney Harbour while embracing the hive of the working waterfront, to create a vibrant atmosphere for our customers. Or, for more immediate attention, we welcome you to drop into the restaurant in person. When you book online, you will be transported from our website to an external booking system that is unrelated to our website. Once you make your booking, there is no way to confirm your booking has been made through this external system, as the system will not generate a response notice to you to confirm that you have made a booking. If you feel there has been some complication with your booking, the only way to confirm your booking has made, is through sending an email to info@foyskirribilli.com.au. to request this information. If you are concerned that your booking has not gone through for some reason, please send us an email, otherwise your booking should be secure. Please note: We are currently experiencing a very high volume of e-mails and will personally answer all of your communication as soon as possible. However, your email correspondence may not be able to be answered prior to the time and day you wish to book your reservation. The most expedient way to make a booking at this present time is to drop by in person. We are located at 76 McDougal Street, Kirribilli NSW 2061. 76 McDougall Street, Kirribilli NSW, 2061.